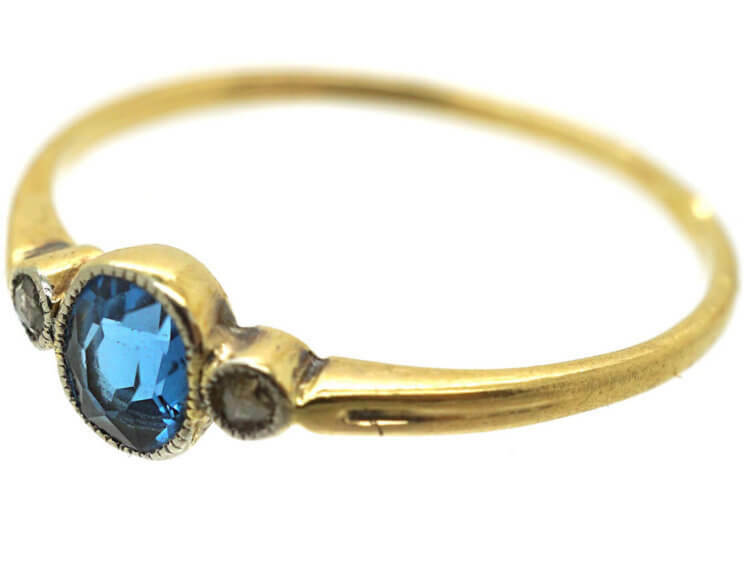 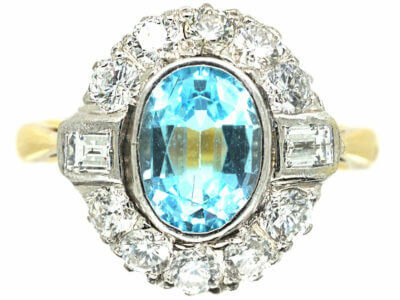 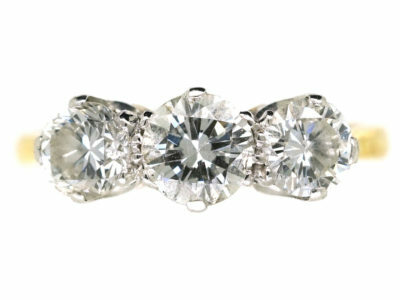 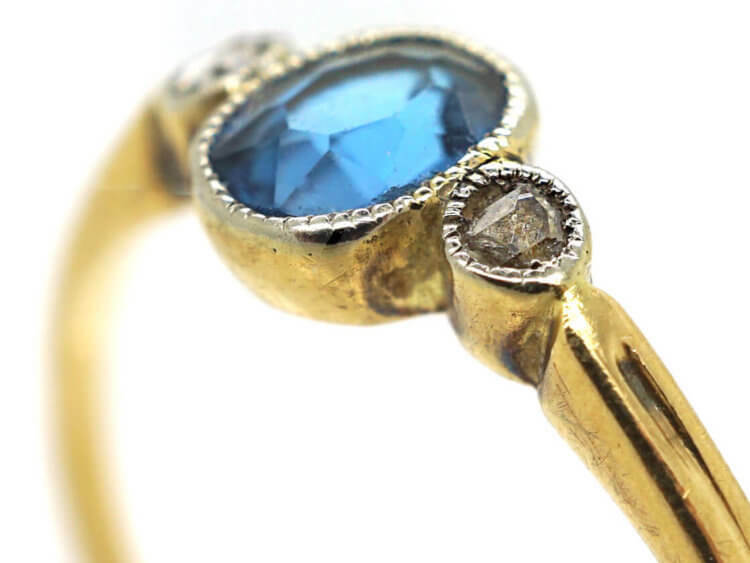 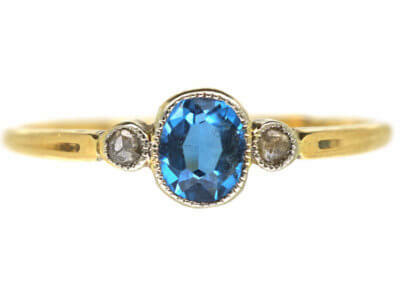 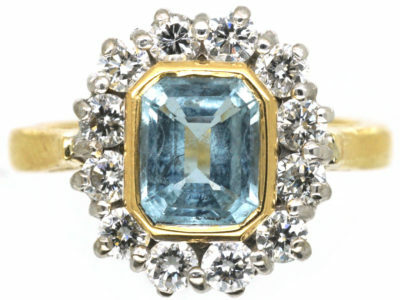 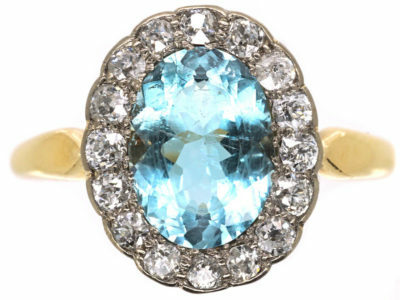 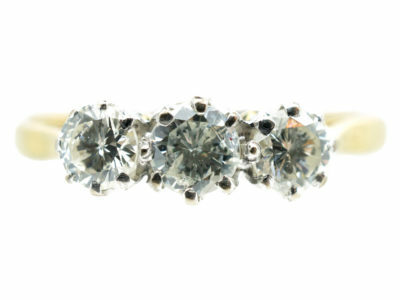 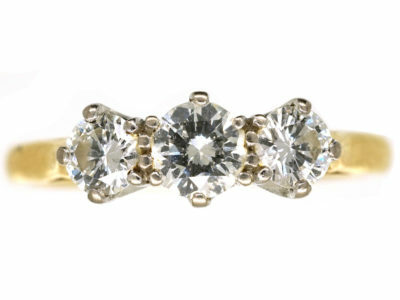 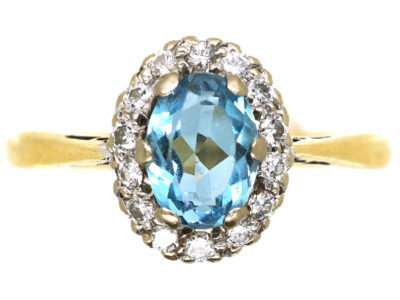 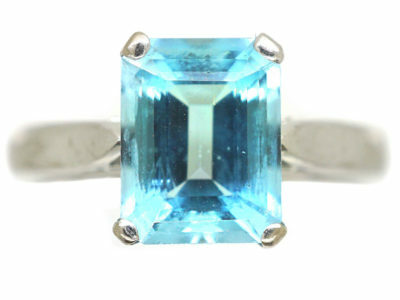 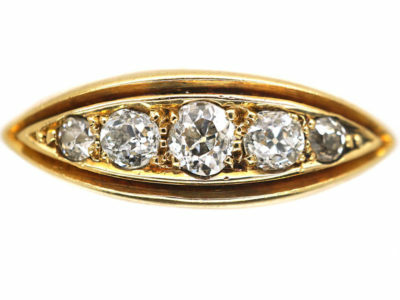 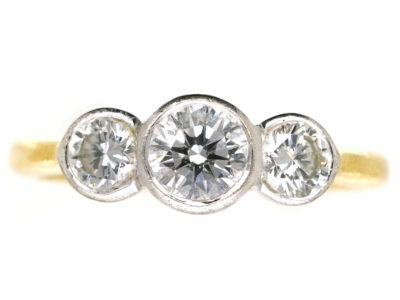 A delicate 18ct gold ring set with an oval aquamarine with a small rose diamond on either side. 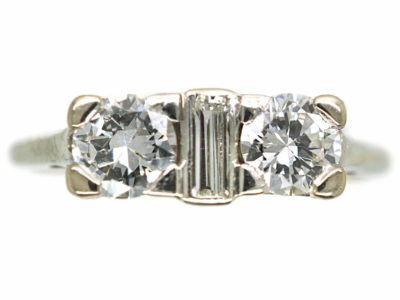 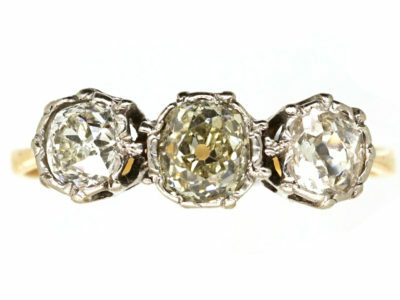 It was made in the early 1900s in the light style that was so typical of the period. 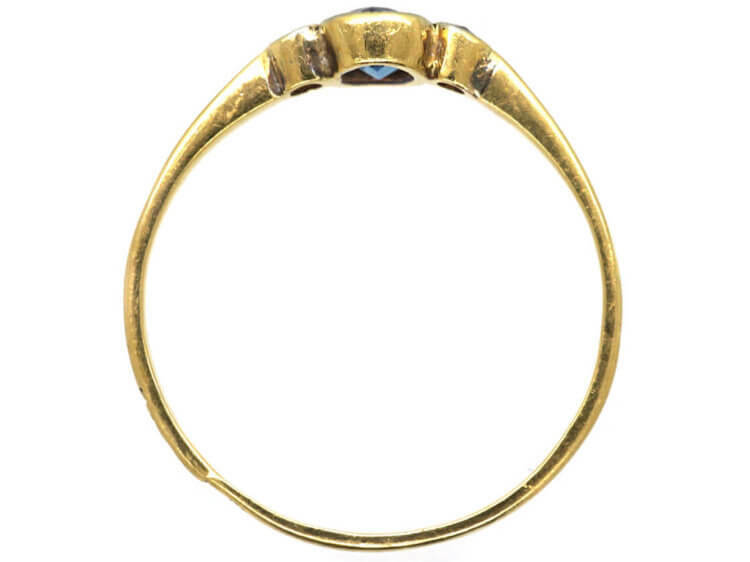 It would look lovely worn on its own or stacked with other bands.